Staff is extremely friendly and the grounds are well kept. Excellent, as always. Three happy summers in a row. I and my family spent best vacation during last two years. The property located excellent, view from the balcony best we've ever had, comfortable beds, enough kitchen equipment, nice garden, clean and quiet. Even bad weather could not spoil our mood- Wi Fi was also good :) My first sms to my sister was: We found Paradise!!! This place has it all: fresh and clean, welcoming and helpful owners and beautiful location. Highly recommended! Perfect location, peaceful and the owners were very welcoming/accommodating. Couldn't recommend Nanakis Beach enough! Very friendly owners. Attractive apartments in lovely surroundings. Really comfortable apartments with all what you need. Very clean and calm, fantastic view and amazing sunset. Really nice hosts! We appreciate we were allowed to stay at the pool in the afternoon, also after we checked out. A bar or snack bar would be useful, but the one in the nearby hotel is very good and tasty! The owners are extremely kind, friendly and helpful! We had a pleasant stay. Our appartment had a great sea view, 2 balconies, it was very spacious, clean and well equipped. The whole area was very nice. The garden simply beautiful! The swimming pool is well constructed, very clean, it has comfortable sunbeds and a great position! Excellent apartment with an amazing sea view. Kept very clean and serviced daily. Very comfortable bed and a very spacious living area. 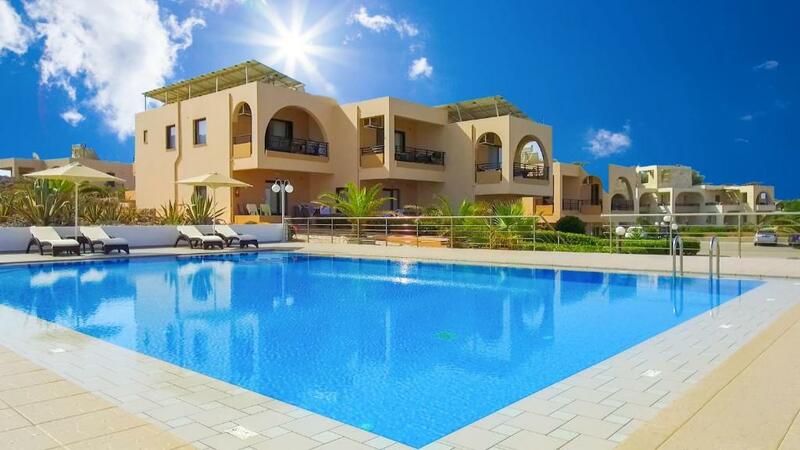 Lock in a great price for Nanakis Beach Luxury Apartments – rated 9.5 by recent guests! 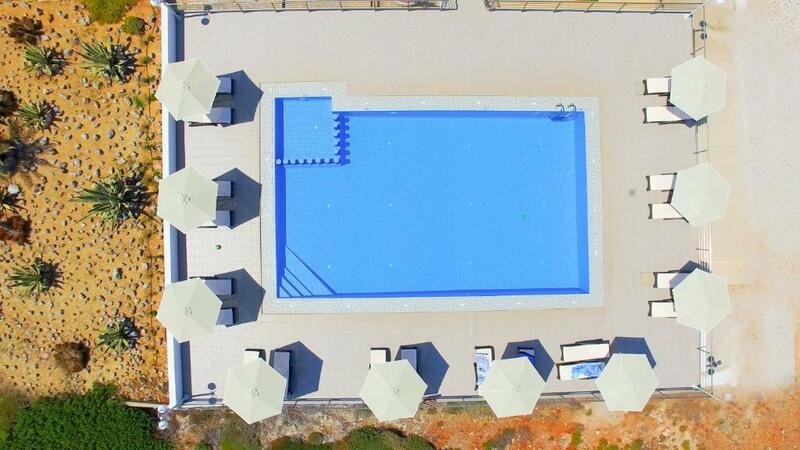 One of our top picks in Stavros.Fully refurbished in 2011, Nanakis Beach Luxury Apartments is a great place for families or groups wishing to enjoy sun, sand and sea from exclusive accommodations. 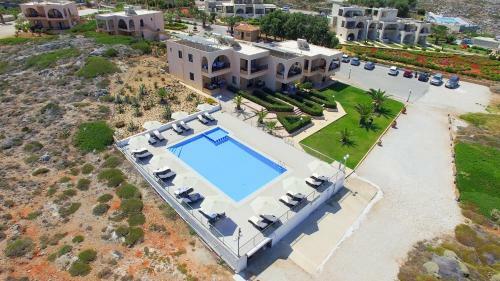 This charming apartment property is surrounded by Nanakis Beach in the resort of Stavros. This rocky beach - ideal for fishing and snorkeling - faces the apartments, and beautiful sandy beaches are found just 1,950 feet further. The Nanakis Beach complex of 16 apartments and studios is built on 31 ft² of picturesque grounds. 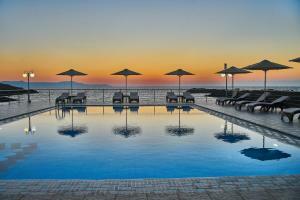 It enjoys stunning views of Stavros and the sea from its outdoor swimming pool and gardens. Chania Town and its scenic Venetian Port lies within 9.3 mi from Nanakis Apartments, while Souda Port is 11 mi away. Chania International Airport is at a distance of 6.2 mi. This property is also rated for the best value in Stavros! Guests are getting more for their money when compared to other properties in this city. 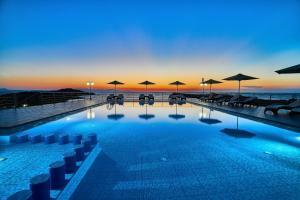 When would you like to stay at Nanakis Beach Luxury Apartments? This 2 bedroom apartment of 197 ft² consists of 2 bedrooms, one with a double bed and another with 2 single beds. There is also a fully-equipped kitchen with an oven, a spacious lounge room equipped with 2 sofa beds and 2 verandas. A 32" LED TV with 5 satellite channels is also featured. Consisting of a separate bedroom, a living room and a fully equipped kitchenette, this apartment opens out to a patio. A 32" LED TV with 5 satellite channels is also featured. Nanakis Beach Apartments are a family running hotel. The 16 apartments are set in a ground of 10000 meters full of gardens. 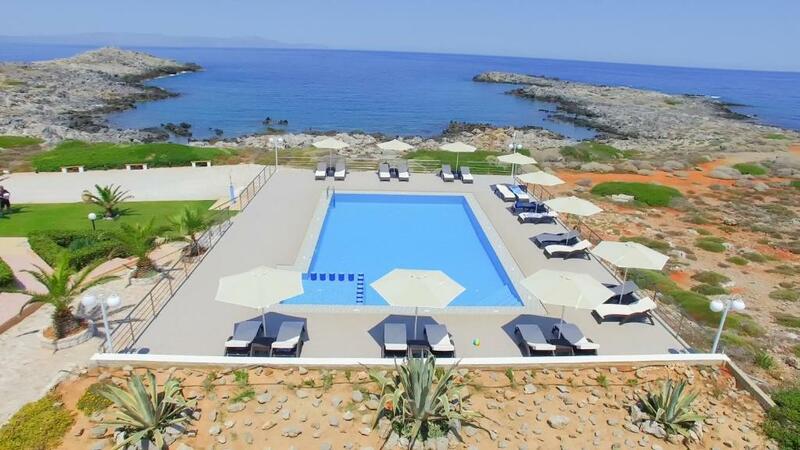 The apartments are scattered in front of the sea and offer unique view to the sea and calmness. 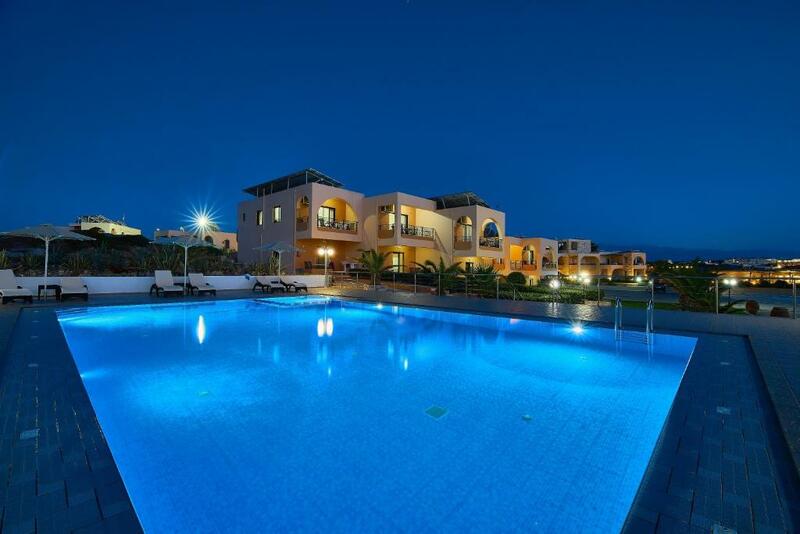 Our main goal is to make guests feel like home and help them "explore" Crete. I really enjoy travelling and meeting people from all around the world. The region of Stavros,is a beautiful small suburb just 15 km of the city of Chania.It is a very quiet region and it is ideal for the people that wish to relax and getaway from the every day stress.It has five sandy beaches that have crystal clear water.You may scuba dive, fish,snokel and enjoy swimming in these awarded beaches. 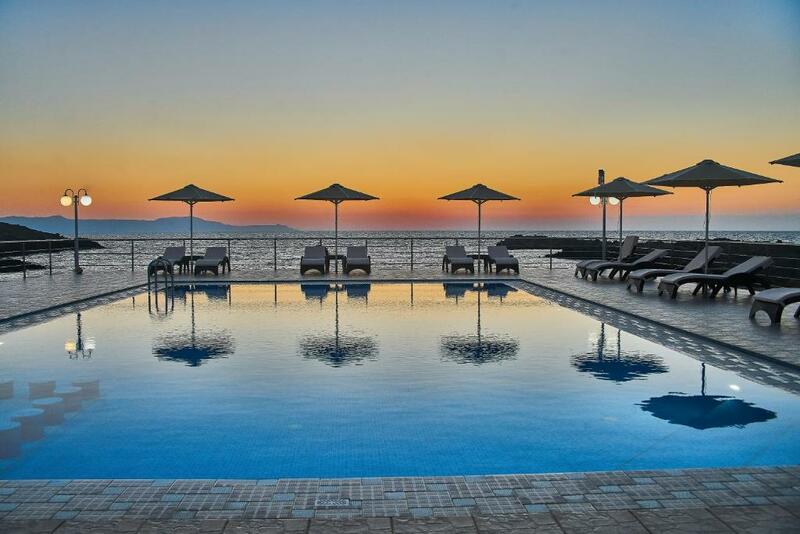 House Rules Nanakis Beach Luxury Apartments takes special requests – add in the next step! Nanakis Beach Luxury Apartments accepts these cards and reserves the right to temporarily hold an amount prior to arrival. The managers behaviour is actually a herassment. He insists for a start to know your age, occupation etc. Everyday he found reasons to bother us in some way, especially in the early morning. He even forced my girlfriend in some unpleasant and needless talk at the beach, which is a 5 minutes walk from the hotel. You have to repeat everything 3 times. He disturbs you when you are dozing at the pool. Also, he should accept if you don't want to drink Raki with him. Finally, the room is kind of ugly, and there's no sun on the balcony. Nanakis Beach was an amazing discovery! I can only recommend to 500%! !These are by far the biggest and more spacious apartments I have ever stayed (and usually I book apartments). Easy to access, only 15minutes from the airport at the perfect spot, away from the crowds, but within a walkable distance to the super market, cafés and restaurants and to the beach nearby. The apartment was as big as my place and even better equipped. I had everything I needed to cook my lunch, dinner and breakfast!Its definitely an apartment for a long stay, the hosts/owners were so friendly, they helped me with everything I needed, they even treated me to coffee and other treats and gave me the best tips! I needed internet, cause I was in Crete for work and I had several skype/google hangout calls to process and it all worked very good. I also loved the spot, surrounded by the sea, with the mountains as background, the big verandas, the amazing landscape. I will definitely return and make sure to stay for longer. Thank you, thank you, thank you!! Good excellent apartment. The owner helped me with everything needed. I recommend this place. You will enjoy the view and atmosphere. Wifi don’t work in the apartment, there were only sheets one the bed- no comforter or blankets and we got really cold. The staff was so nice and very helpful! The only small criticism would be then when it windy the covers were removed from the sun loungers making the pool area unusable at these were very hard. Shower pressure was also a little poor. If I had to make a comment it would be the lack of air conditioning in the second bedroom, however this did not in any way spoil our stay. Beautifully kept properties, very clean (cleaned daily), welcome from host was just lovely. They are very clearly proud of their property and had great pleasure in presenting our stunning view to us, this accompanied with water/wine and Raki made us feel very welcome. Beautiful pool area and vey well kept gardens. Fully equipped kitchen.